Friends, I think our snow dance worked! What started out as an abnormally sultry November in the Rocky Mountain Region, has quickly gone from zero to hero in the last few weeks. Snowbasin Resort can currently boast the largest snowpack in Utah! Great news for all of our holiday travelers. I have skied throughout the Rocky Mountain Region in Utah and Colorado for the last 25+ years, and yet every year, I am amazed and how much early season terrain Snowbasin is able to open. With ample snowmaking and large storms moving through the region, more and more terrain is opening, with early season powder turns for the powder hungry and endless groomers for the rippers. We joined up with local friends and my folks to enjoy opening weekend together. 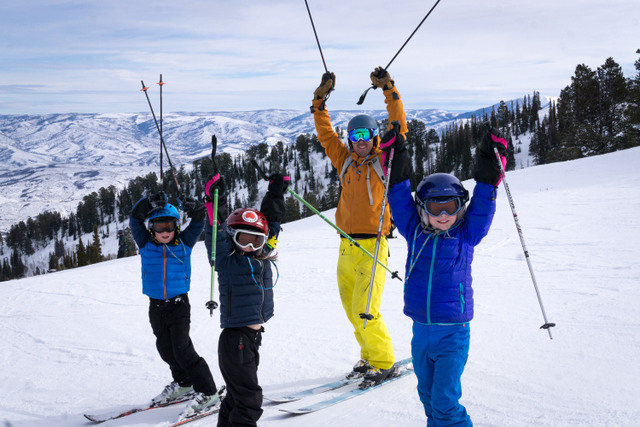 There is something unique and special about getting having multi-generational ski days. The kids were super stoked to hit the terrain parks again, and we all got our ski legs back in gear for a great season. 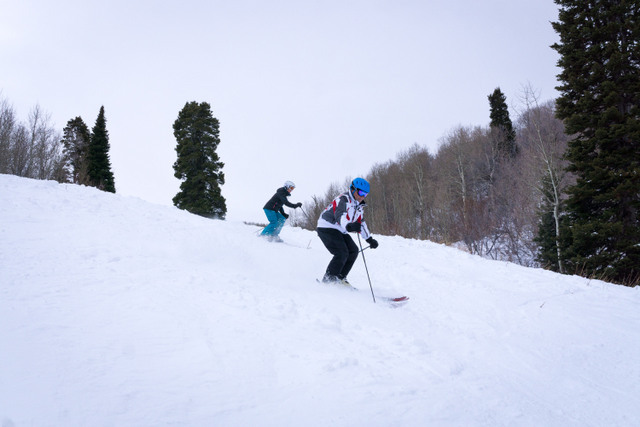 Terrain Parks - Snowbasin has 65 rails in 5 different terrain parks designed for all levels of skiers and snowboarders. 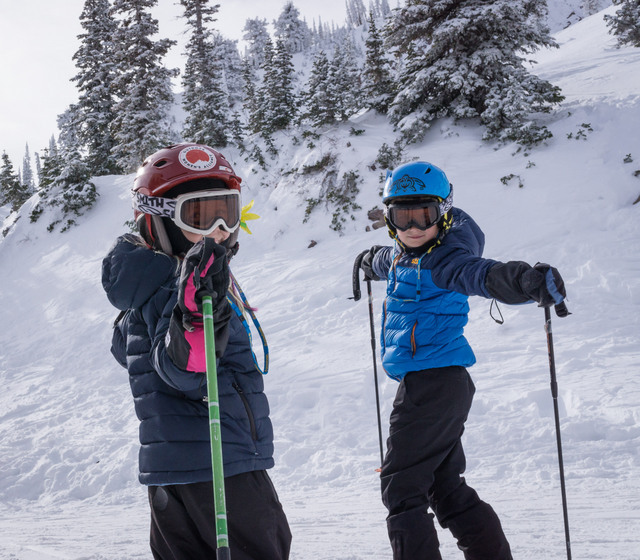 From the beginner banked features and jumps of the Powder Puff Park located adjacent to Little Cat to the larger jumps, hips and rail lines of the higher mountain parks, there is something for everyone! Secure Bag Check at Earl’s Lodge - New this year, you can now rent cubbies for your gear in the lower level of Earl’s Lodge. Want to store your shoes and/or some extra layers instead of carrying a backpack all day? This might be a great option for your family as they can be accessed as many times as you need throughout the day. For a regular bag it is $3 and for a large bag $5. For the season pass holders out there, you can now load 10 regular baskets onto your season pass for $15 and 10 large baskets onto your pass for $25. Plus, if any of your electronics die, while on the mountain, you can head to the Guest Services Center and charge up any device for just $2. Quick and Easy Loading on the Becker Lift - Check out the new converyor system on the Becker Lift, making it easier and quicker to get up the mountain with your beginner skiers. 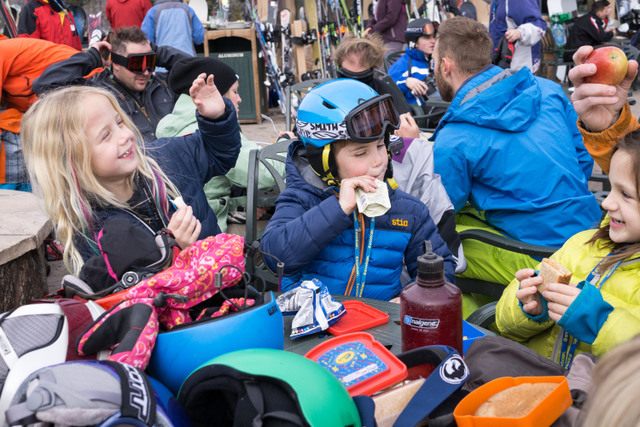 $1 Fresh Baked Cookies at 3pm - Don’t miss Snowbasin’s best kept secret, other than the powder stashes. Fresh baked cookies are $1 every weekend day at 3pm. Located inside Earl’s Lodge.